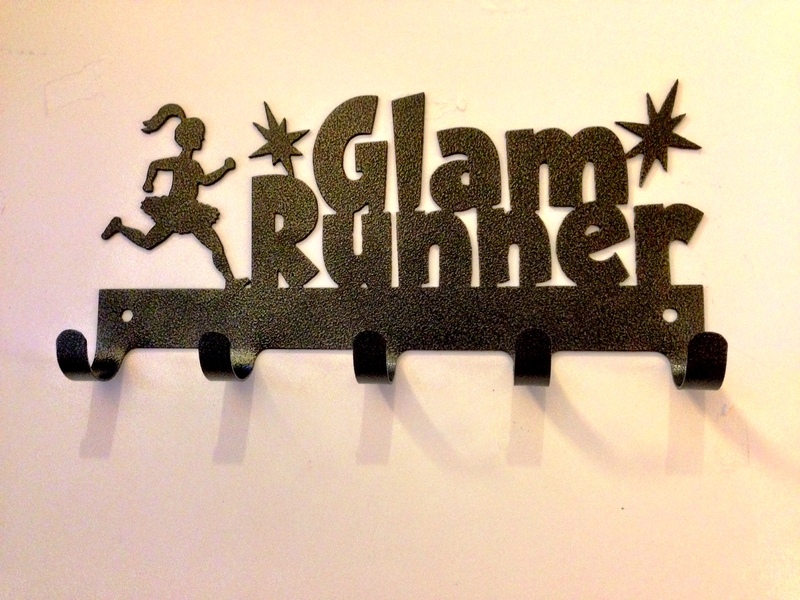 Show off your race medals as a proud Glam Runner with this cute race medal rack! 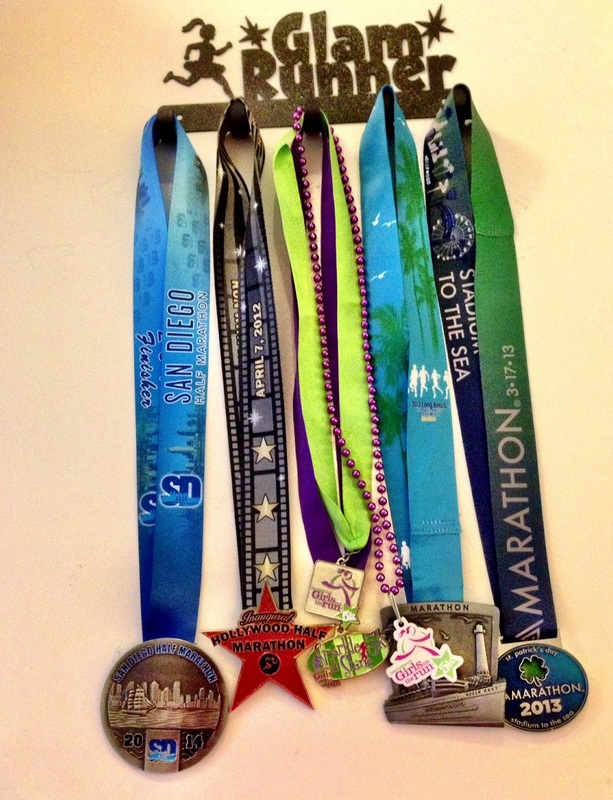 Made of black metal, has five hooks which can each hold multiple medals. Rack is 10″ x 4.5″. Comes with matching mounting screws.